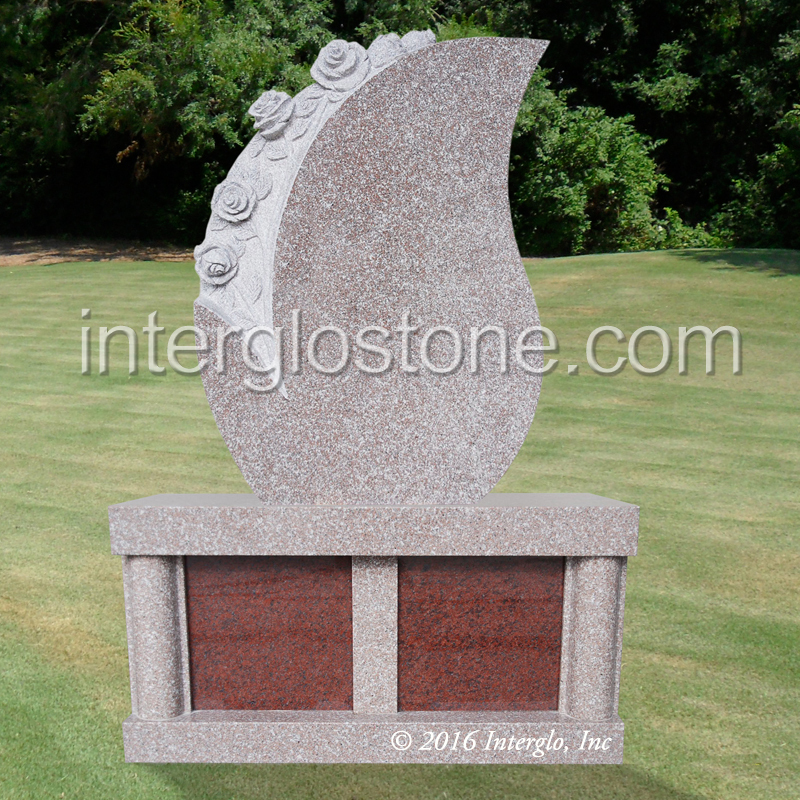 26" x 6" x 36"
33" x 14" x 17"
An artistic design featuring a tear drop shaped headstone with hand-carved flowers on the top and front of the headstone. 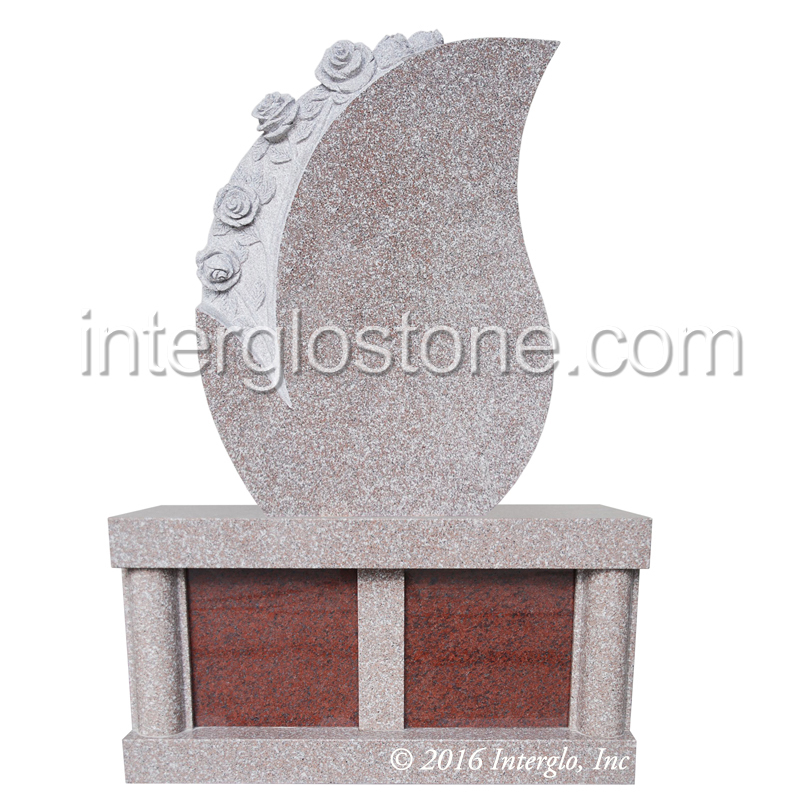 Made from one solid piece of granite, the headstone is all polished except for the carved areas. The headstone can be lettered on the front or back sides with a family name, scripture or other design feature. The headstone is shown on a Cremation Base Unit with Rounded columns. The base unit is designed to hold from 2 to 4 cremation urns and features rounded columns on each end. The removable polished granite doors are ideal for sandblasting or etching and for adding porcelain portraits of loved ones.